These Premium Icing Sheets by Cakes Around Town offer unsurpassed clarity. Icing Sheets are an actual layer of icing that bonds with the icing on the cake. They can be applied to all types of cakes, cupcakes, cookies, chocolate, Sugarveil®, fondant, blown sugar, etc. These sheets are on a clear backing that easily peels away from the icing layer. If you are having trouble with the new Canon printers with the front paper feed (as we are) and the thickness of these sheets, we now also stock them in Thinner Style. Should you have trouble removing the images you can refer to our YouTube Chanel for hints and tips on the best way to remove them. 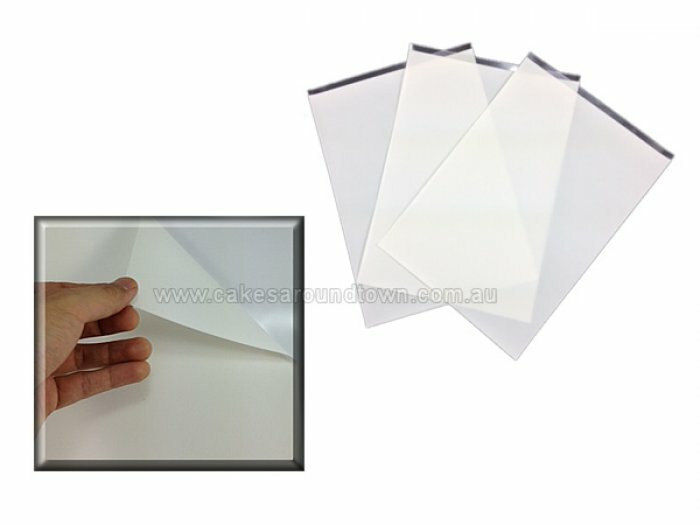 As edible image sheets are known to be difficult to worth, not being able to remove the backing sheet does not constitute a refund for the product. Pack of 24 Sheets. 21cm x 29cm printable area.